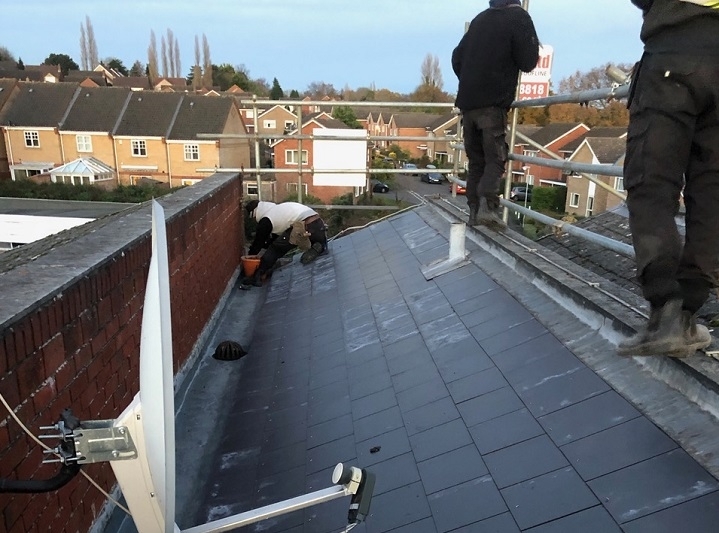 We were contracted to install a high-performance GRP fibreglass roofing system to the gulley and to refurbish the existing slate roof of the Waitrose supermarket on Church Lane in Norwich. Here are some images we snapped of the work-in-progress. 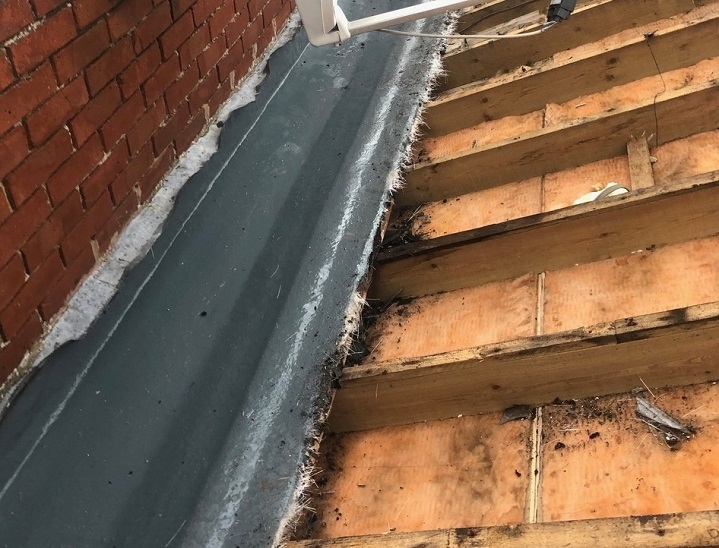 The condition of the roof before we started. 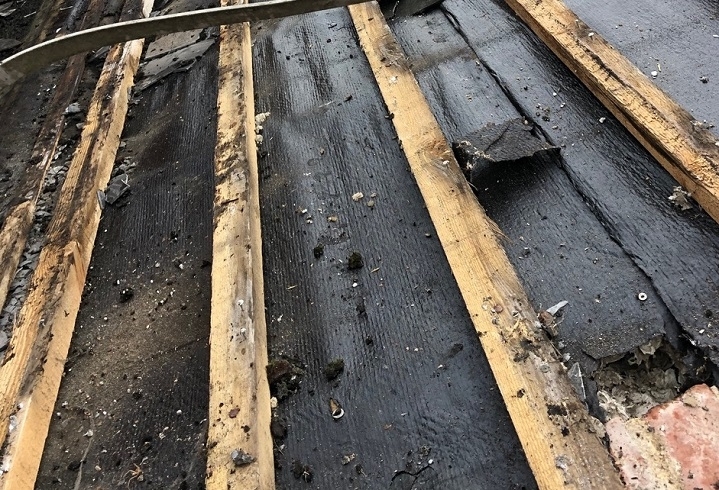 Once the slates have been removed, we could see that some of the timber battening had started to rot. The old membrane on the gulley was frayed and worn and no longer fit for purpose. 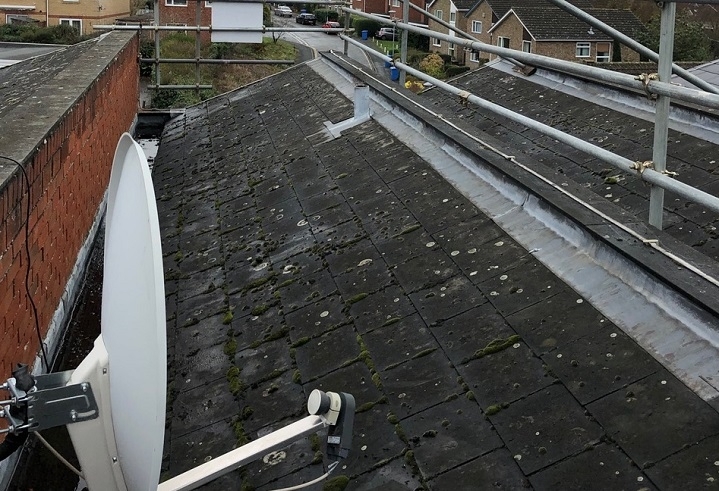 We removed and disposed of the existing roof covering and then applied a high performance 25-year GRP fibreglass roofing system to the gulley. 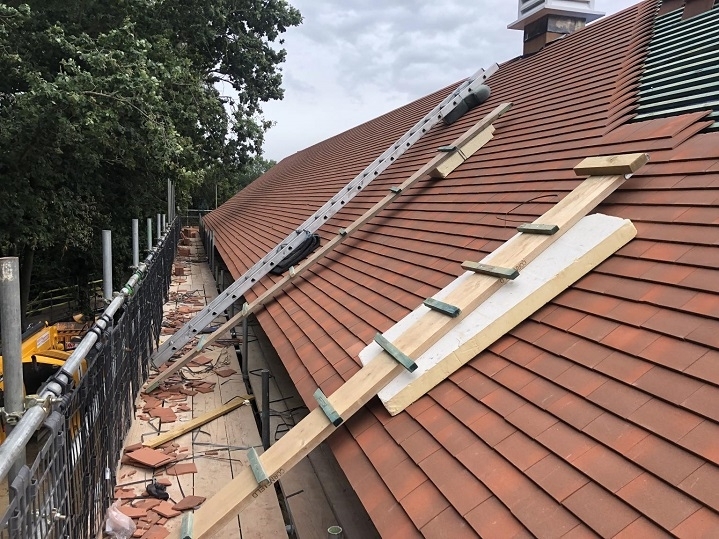 We also installed a new breather membrane and treated timber battens, before replacing the old slates with new Marley Eternit Thrutone simulated slates.